Pruitt touts states' rights. What about Calif.? It might seem like a slam-dunk for conservatives suspicious of an overextended federal government: A state wants to use a right enshrined in law to go its own way on an environmental rule. But the state is liberal bastion California. The Golden State's posture on vehicle fuel efficiency presents a quandary for some conservatives. It has even brought two principles often espoused by U.S. EPA Administrator Scott Pruitt — the rule of law and federalism — into direct conflict. Pruitt has the power to decide California's fate in the controversy, which is getting more heated ahead of the Trump administration's April 1 deadline to decide whether to relax Obama administration fuel efficiency standards. The ideological conundrum extends beyond Pruitt. Libertarians, establishment Republicans and tea party-styled conservatives don't align on whether EPA should grant California a waiver to set more stringent standards, should the Trump administration deviate from scheduled fuel economy improvements through 2025, a move that's expected. "It's a pretty complicated thing," said Tom Pyle, president of the Institute for Energy Research. "There's not a lot of simplicity here." Part of the complexity: Two different laws affecting two different agencies with two different missions create the patchwork overseeing fuel economy and car emissions. On top of that, there's the California complication. California can call for a tighter emissions standard through the Clean Air Act administered by EPA. Congress gave it that right because its unique topography and population density contribute to smoggy skies. But fuel economy, administered by the Transportation Department's National Highway Traffic Safety Administration, is a technology standard, not an air quality one. The law giving NHTSA that authority prevented states from setting fuel economy standards. Some argue California would in essence do that in a roundabout way through its Clean Air Act waiver. In the grand scheme of environmental regulations, the fuel economy standard still has a lot of unresolved points. The evolving vehicle market, combined with structural changes implemented under the Obama administration, has added to the confusion. That, combined with the tricky regulatory custody battle between NHTSA and EPA, evokes tricky mental gymnastics. "I struggle with this idea about whether it's about one state's ability to enact tougher air pollution standards or the national economy to have confidence in one of our major [industries]," said Catrina Rorke, a senior fellow for policy for DEPLOY/US, a nonpartisan group working on climate solutions. "Where is the line?" The debate is getting more attention as the April 1 deadline nears for the Trump administration to decide whether to review the Obama-era fuel efficiency standards for model years 2022 through 2025. If NHTSA and EPA call for slowing growth in those targets, as anticipated, California has suggested it might set its own standard. But Pruitt has intimated in the past that he isn't sold on granting California its waiver. "California is not the arbiter of these issues," Pruitt said in a recent interview with Bloomberg. EPA has issued California its waiver numerous times in the past. While conservatives often criticize federal overreach, it's an example where Congress actually passed a law delineating where executive authority began and ended. "[The waiver] is one of the few federal environmental statutory provisions that allows a state meaningful relief from federal regulatory controls, and it still may not be enough to grant California the flexibility it wants," Jonathan Adler, a libertarian environmental law professor at Case Western Reserve University School of Law, wrote in 2008. Some on the right question whether California's waiver is an example of cooperative federalism, in which EPA sets a minimum standard but allows states to implement and enforce it in their own way. "I really don't think this is a legitimate federalism issue," said Jeff Holmstead, a former EPA air chief under President George W. Bush who is now at Bracewell LLP. 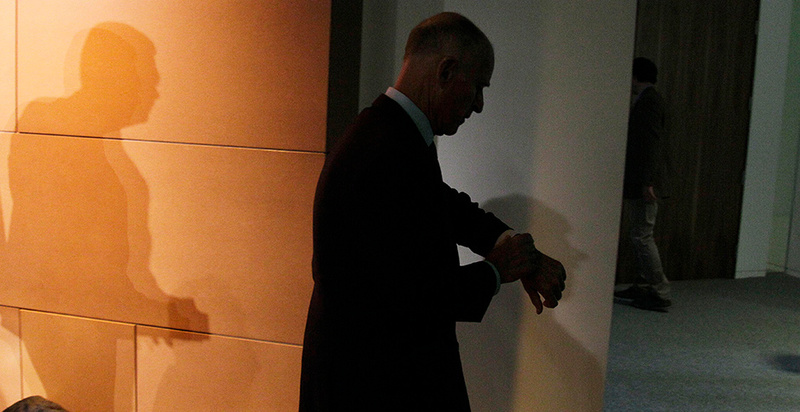 "Really what California wants is a right that is explicitly denied anyone else." California's size contributes to the difference of opinions among the political right. The state — and the 13 others plus the District of Columbia that follow its standards — contains 40 percent of the U.S. population. Some conservatives who reflexively balk at California's propensity for regulations, especially on the environment, contend that this forces its standards on consumers across the country, making them pay more in the process. "From a free-market perspective, it's absurd that basically California gets to set the standards," said Paul Blair, strategic initiatives director with Americans for Tax Reform. "Consumers should be able to buy the cars they want without costs being raised artificially by fuel economy standards." Others, though, say this is a business decision by carmakers. Nothing compels manufacturers to build all their models to the stricter limits — it simply makes sense from an economic perspective to maximize scale and not have to keep pace with ever-tighter rules. If it makes sense to produce cars to satisfy different tastes and desires, companies will do so, said Nick Loris, an economist with the Heritage Foundation. He likened the potential outcome to appliance makers that manufacture products like air conditioners and furnaces to satisfy differing, federally set standards by region. "Honestly, I don't think there's a big deal," Loris said. "I'm skeptical that we will see some de facto national standard from what California implements." Originally an opponent of the policy that lets California set its own standard, Cato Institute Senior Fellow Peter Van Doren has "flip-flopped," he said. Once he began thinking about the regulation as a tax, Van Doren said, it was perfectly within California's right (though he doesn't think it's wise). Fellow libertarians would find their rejection of California's standards "overwrought" if they thought of it that way, he said. Van Doren, like Loris, would rather scrap any federal standard and let states set their own. He acknowledged that this means some might reduce targets below the current federal level. But this isn't a world of ideals. So Van Doren is left accepting California's waiver, which he said is better than outlawing it. "Yes, more than the stereotype that we should be traditional right-of-center, that we need to put California back in its place," he said. "That's a conservative position, but certainly not a libertarian position." Layered on top of all this is a newer wrinkle: the role of greenhouse gas emissions. Such emissions aren't like smog-forming ones and therefore aren't limited to California's immediate geographic area. The EPA endangerment finding on greenhouse gas emissions considers them harmful to human health. As such, EPA must regulate them. Proponents of California's waiver argue that it therefore extends to those heat-trapping gases. Still, the law states that EPA can deny California's waiver if it "does not need such State standards to meet compelling and extraordinary conditions." It's much harder to categorize greenhouse gas emissions as pollutants contributing specifically to a local or regional problem, Adler said. The courts have yet to weigh in on the issue. Former President George W. Bush denied California's waiver, but former President Obama reversed course and granted the waiver after taking office. The deal the Obama administration struck with automakers and California to set standards through 2025 sidelined court challenges. The deal came with a chance to review whether meeting the program's goals was feasible, which is where things stand now. "[Greenhouse gas emissions] did not meet the qualifications set forth in the waiver, according to the Bush administration. To the Obama administration, they did," Pyle said. "That's the open question, and that's what should be decided in the courts." Surely, if its waiver goes to the courts, California would relish a fight with the Trump administration. The same goes for the reverse. After all, it's a battle California has won before and, ultimately, is why it possesses its waiver today, Van Doren said. He noted that California's program for combating tailpipe emissions pre-dates EPA's, and that the state won its carve-out in the 1970 Clean Air Act by arguing that its strategy worked for its specific situation with respect to smog. That was then, however. Politics are more polarized. So even when the right flank of the political spectrum is at odds on an issue, it's apparent that there are no easy answers. "I'm a states' rights person. I wouldn't say California has gone out of line. California has long led the nation in regulations and leadership on what they want to do as their own state," Rorke said. "The legacy of federal environmental regulation has enshrined and protected that. ... The huge asterisk is, at its heart, this is not an environmental regulation. It's a fuel economy standard."